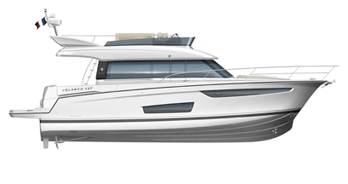 A few months ago, Jeanneau announced a new boat for its Sun Fast range. It’s now time for us to unveil this new sailboat on Saturday, December 8th. Follow this event live on the Sun Fast Facebook page. While waiting for the official unveiling of the new Sun Fast, discover exclusively the two exceptional naval architects who worked on the development of the brand new sailboat of the Sun Fast range. Listen to them, sharing their experience with Hervé Piveteau, in charge of Jeanneau sailboats development.